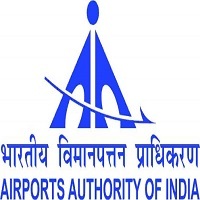 AAI Jobs Recruitment Notification 2018.Airports Authority of India, AAI inviting applications for the positions of Site Engineer, Airport Manager/Terminal Manager, CNS Personnel.Interested and Eligible candidates can apply for the positions. Last Date for Submission of Application is on August 01st, 2018..
1. Eligibility Criteria: The candidate should be a retired official from AAI/IAF. 3. Eligibility Criteria: The candidate should be a retired official from AAI/IAF. 4. PERIOD OF ENGAGEMENT: The duration of engagement of Consultant shall be for (01) YEAR which may be further reviewed and renewed as per requirement. However, the services of the Consultant may be terminated at any time by giving one- month notice without any liability and the decision of the Management will be final. 1. The candidate should be a retired person from AAI/IAF/PSUs, Central/State Govt. Deptt..
2. Minimum experience should be 10 years maintenance and operation of VHF equipment (Tx/RX Manpack/System DVR System EPABX X-Bis(RB & HB) DFMD CCTV FIDS,NDB,DVOR. 3. PERIOD OF ENGAGEMENT: The duration of engagement of Consultant shall be for (01) YEAR which may be further reviewed and renewed as per requirement. However, the services of the Consultant may be terminated at any time by giving one- month notice without any liability and the decision of the Management will be final.